Sally did an excellent job of selling my family’s home! She made sure to get great pictures of our house and get information about it out there!! Our house had lots of interest in the first few days and ended up selling in the first week thanks to her!! Highly recommend. Sally English helped me sell my house recently. She was (and is) the best real estate agent out there. She is super experienced and has the best advice on selling a house from the beginning stages of getting one’s house prepared to sell to the final negotiations (and she will work super hard for YOU). She is highly professional and is there or on the phone or email when you need her. I do not know how she does it, but she makes all this work seem effortless and comes through with amazing results. I had three offers on my house in 12 days !!! I would hire Sally, not only listen to her advice but take it, and put your confidence in her. She will come through for you and help you in every way possible. I can not imagine using anyone else. And, she is super nice ! Sally was very helpful in making specific, informed suggestions on how we could make our home and associated property most appealing to the targeted prospective buyers. These suggestions included recommendations on interior paint colors, the upgrading of several sinks, the replacement of prominent light fixtures, and the moving or removal of various wall hangings such as pictures and mirrors. She drafted an excellent description of the main features of the home. Her photographer took many descriptive photos of the home and the subsequent presentation was viewed many times on Zillow. She communicated extremely well with us throughout the entire pre-listing process and superbly handled the required documentation once the sale was being finalized. We had two offers, one at and one above, our asking price on the first day the home was placed on the market. Sally handled the sale of my house professionally. She provided excellent guidance as I prepared house to sale. Her sales tools kept me informed throughout sales process. House was under contract in 7 days. She guided me during negotiations of sale. I would definitely recommend Sally as a top real estate professional. Sally was wonderful in helping us buy our first house; she was extremely responsive and helped walk us through the entire process. Sally always managed to show us homes the same day we asked or the following day — this was really important in a market where homes might only last a day. She knows the area really well (Eastern ITP & OTP East), she kept us on track so that the negotiation and closing went smoothly, and we are really happy with the result. We’d be really pleased to work with Sally again should we decide to sell our home. dnblashley Sold a Single Family home in 2016 for approximately $275K in Tucker, GA. I cannot recommend Sally enough. She has been the height of knowledgable, timely and professional. She works really hard! We couldn’t be happier with our home. Sally exceeded my expectations in every way concerning the needed remodeling and sale of my Dad’s house. I have never worked with a realtor as capable and passionate as Sally. She came with her own remodeling resources and ideas needed to make the sale. Ann J. Truly outstanding work by my agent @sallyenglish. She sold my townhouse in 3 business days. None better in the ATL! jatimmermann Sold a Single Family home in 2016 for approximately $475K in Atlanta, GA.
Sally came highly recommended to me and I would do the same. I’m happy to give her 5 stars in all categories. Our experience together was short, mainly because she wisely alerted me to a great fit the moment it came on the market. Sally did great job to prepare and selling our house in tucker , Georgia . She recommended painting contractor who did a fabulous job before our house went on market , after all the work we did . House sold in first day and we got 97 % of listing price . Sally is truly amazing and knowledge in her business ! Sally English provided excellent assistance and information, and has a good understanding of the area. The property was quickly under contract and the sale was completed within three weeks. My goal was to find an experienced Real Estate agent that would exceed my expectations from start to finish. From the very first telephone conversation, I knew that Sally English and Team were going to fill that role. She is a true professional and works around the clock to get the job done. She was in constant communication with me via text, email, and telephone throughout the sales process. The marketing and photos were fabulous and this led to a number of showing for the property. Sally and Team were in a word, incredible! Brady Duo Sold a Single Family home in 2015 for approximately $275K in Atlanta, GA.
J. G. Conboy Jr. Sold a Single Family home in 2015 for approximately $375K in Atlanta, GA.
After 45 years owning the family home my Mom decided it was time to downsize. It was a difficult decision. I interviewed 3 separate agents and Sally was the best. Our confidence in Sally turned out to be well founded. She was terrific from start to finish. She advised us on what needed to be done to prep the house for sale, what the price should be and the timing of when to put it on the market. She knows the area of Atlanta very well. She is a great communicator and very responsive. I would use Sally again in a heartbeat and highly recommend her!! 5 stars all the way through! J. Cofer Sold a Single Family home in 2015 for approximately $375K in Decatur, GA.
Darrell Wofford Bought a Single Family home in 2015 for approximately $125K in Tucker, GA.
Sally showed great patience in helping me find a home. First through two derailed attempts (one where the rug was pulled out from under us at the last minute) and finally on the successful 3rd try. Each time she was ever ready to jump into the fire with me again. She steered me through every step in making my first home purchase and kept me on schedule with all I needed to do. The closing was smooth and quick with no hiccups and I have Sally to thank for that. Even after the fact, Sally has kept in touch, just to make sure everything was fine. And in fact, she just sent me a reminder to apply for my homestead exemption. That’s service after the sale! H Lewis Sold a Single Family home in 2015 in Atlanta, GA. Sold a Single Family home for approximately $400K in 2015 in Atlanta, GA 30345. I bought my first house from Sally almost 20 years ago. She did a great job then and has always stayed in touch with a yearly Christmas newsletter keeping us up with tales of her family’s adventures.When it came time to sell an estate home Sally was there to make it happen.You will not find a better or more professional agent. Started preparing to sell our Vancouver Dr home in January 2015.We listed with Sally on May 1st and had 5 offers the following day.We closed June 1.All went smoothly and Tim took some awesome pics of our house which helped greatly in the marketing. We had to move so fast that we ended up giving many things away! We needed to sell my elderly mom’s home of 44 years from across the country.The inspection was complicated and Sally’s expertise, negotiation skills, and patience guided us to where we were able to close with the buyer feeling like we succeeded financially. We were able to exceed our goals with our closing date and sale price and my 82 year old mom felt confident and happy with her experience of selling her home. Eric Rama – Home Seller Sold a Single Family home in 2015 for approximately $125K in Tucker, GA.
Sally helped us sell our home in GA, in May/June of 2015.My previous experience with real estate transactions was limited to FSBO, and I have always been a bit leery of realtors, but Sally proved me wrong. After a few months of no success with listing the property myself and fending off the phone calls of aggressive realtors, I gave Sally a call.She was not pushy at all, had a realistic price in mind for the home, and was willing to help.Within the next couple of weeks we had an offer, and after some negotiating we agreed on a price.Sally is extremely professional, and attentive.I would recommend her to anyone needing assistance with the purchase or sale of real estate. Home Seller – user22186980 Sold a home in 2015 in Idlewood Acres, Tucker, GA 30084. I worked with Sally in 2008 to purchase my first house and again in 2015 to sell it. Both experiences were smooth; Sally is a good communicator and a great person to work with whether you’re buying or selling. Highly recommend. Home Seller – user8414188 Sold a Single Family home in 2015 for approximately $400K in Atlanta, GA. I worked very closely with Sally on selling this house and was extremely delighted to have found her.Her knowledge of the immediate area, the market at the time, the price ranges, go to market strategy for pricing, and overall support throughout the process were invaluable.For me, I couldn’t have made a better choice than choosing Sally and I doubt the home would have sold so quickly, or at the price I was looking for, without her guiding hand.Thank you Sally! Home Buyer – user3975799 Bought a Single Family home in 2015 for approximately $300K in Chamblee, GA.
Bought a Single Family home in 2015 for approximately $300K in Chamblee, GA.Sally was great! Very responsive with phone calls and emails. She put us on some great homes right away and the whole process was very easy! Highly recommend Sally!! P Freeman – Home Buyer Bought a Single Family home in 2015 for approximately $350K in Tucker, GA.
Sally had all of the skill sets/attributes we were looking for.She was very easy to work with, were very personable, had great insights into the process and the market, found us the right home virtually immediately, and remained involved throughout the process.It is probably worth pointing out that she served as a dual agent for the home we purchased, and we trusted that she could balance wearing both hats and were not disappointed. We selected Sally because of her proven track record, familiarity with and visibility in and around the Tucker area. This was after vetting 4 other realtors. We felt like all of her experience, knowledge/advise and services were just exceptional and we were VERY happy working with her and the resulting quick sale.She is so professional and provided us with all of the personal attention we needed.The preliminary photography of our home and property as well as the description on the listing were great! A Derkson Sold a Single Family home in 2015 for approximately $175K in Tucker, GA.
Sally is a top-notch agent. She has years of experience and detailed knowledge about many of the neighborhoods in our area. When we first contacted her about selling our house, she knew our neighborhood well enough to ask which model house we had! Sally uses beautiful, professional pictures, knows how to stage/light things and designed a beautiful flyer for our house. She uses a program to let you know who’s come to see the property, as well as feedback about it. The house was only on the market for 10 days before receiving an offer – and this was in the middle of November!She was very helpful with paperwork and in negotiating with our buyers. We were very grateful for her advice and experience. Sally is very responsive to questions, even when we weren’t active clients.We’ve asked for advice about various house-, contractor-related things, and she’s always been helpful.If you have a question or a real estate-related problem, she either knows the answer, or she can get someone who can tell you. We also had Sally’s help in buying a house.She knew how to streamline our process, and listened carefully to what we were looking for.The mountains of paperwork were much less painful because of her expertise. If you need an agent with experience, contacts, and expertise, Sally is your woman. Kristin W – Home Buyer Bought a home in 2015 in Stone Mountain, GA 30072. Sally is a consummate professional and stayed dedicated to our home search for over a 3-year period.She is no-nonsense, straightforward and gets the job done.I highly recommend her services. D Dewberry Bought a Single Family home in 2015 in Dunwoody, GA. I would highly recommend Sally to anyone looking to buy or sell a home.She has helped us with both on multiple occasions and we are extremely satisfied with the level of service and knowledge she shared with us. adfowl1938 – Home Seller Sold a home in 2015 in Atlanta, GA.
Sally is not only knowledgeable about real estate and the local area,she is up-to-date on all the latest electronic media so there are no delays and everything is expedited. I did not realize how important that was until I was buying a home in another state and they were not up-to-date. Also, Sally is so pleasant to work with, it really makes a sometimes tense process almost enjoyable. Sally previously represented a family member in a home sale that was incredibly smooth and fast. Sally is currently working with my husband and I on the sale of our home and has counseled us through every step of the process so far. We asked for advice on what we should do to get the house ready to go on the market, and Sally gave very practical advice, including the recommendation of a staging professional, who was excellent.Sally is one of the best real estate professionals in the metro Atlanta area.She knows the market, knows the processes, and always does her job with honesty and integrity. jbreard – Home Seller Sold a Single Family home in 2014 for approximately $200K in Tucker, GA. The reason we selected Sally to sell our parent’s home is that she knows the market for the Tucker area quite well. She was very straightforward in providing advice and made the whole process go smoothly.I would consider her to be a “natural” in the business of selling real estate. Her knowledge and personal style was appreciated. josephearlyork – Home Seller Sold a Single Family home in 2014 for approximately $200K in Tucker, GA.
We couldn’t have asked for a smoother sell and it took less than two weeks once the sign hit the yard.Sally and her team put together great promotional materials on the house in both print form and for social media.She also helped guide us through a tricky inspection process and even helped supply great contractors to complete amendment items. Would highly recommend the English team! Rosana – Home Seller Sold a home in 2014. Sally was awesome to work with. In fact, she sold my house, my sister’s house and has also sold several condos for another one of our friends.Have great respect for Sally and her team. Ann Comiskey Sold a Single Family home in 2014 for approximately $325K in Atlanta, GA. I have worked with Sally and the English Team twice, and would happily recommend them.She is organized, fast and responsive.She has great contacts for people to help with all aspects of the sale and the move.Best of all, she is a lovely and nice woman.I have liked working with her very much! Home Seller user7813953 Sold a home in 2014 in Northlake, GA 30345. Sally is very knowledgeable.She helped us do the things needed to have the house at its prime for viewing by prospective buyers.Our house sold in one day after listing. Piet Depree – Home Buyer Bought a Single Family home in 2014 for approximately $300K in Chamblee, GA.
Was happy with house purchase experience.Looked at a few houses and settled on one, was able to close quickly. Sally helped to streamline the process and move things along.She was able to answer my questions about the neighborhood, county, etc.I was moving/downsizing from a house in midtown in Fulton County.She seems to list all the houses in the neighborhood and is the obvious choice for anybody selling in the area. Howard G Home Seller Sold a Single Family home in 2014 for approximately $100K in Tucker, GA. I believe we broke a few records with the sale of my home. I listed my house in Tucker with Sally on July 21st, 2014. That evening I had 5 showings by different agents and 1 offer. I saw that as a VERY good start. The surprise came the very next morning and afternoon. In less than 31 hours, there were 15 showings, and 14 offers. Four of those offers were cash offers. Amazing. Sally herself said she’d never seen anything like it. We closed just 3 weeks later on August 7th. Sally is easygoing and professional. I believe what really helped make the sale so quick and easy was following her advice on pricing (it was priced at/or just below market). If the house is correctly priced, multiple offers will hopefully come in and it will become a bidding war just like it did with my house. I think the best thing about Sally and her team are her website and the photographs that are taken by her husband, Tim. He uses professional wide angle lenses and has a real eye for shooting homes. Sally’s website loads quickly, looks good, and she has full control over every aspect of it. Check it out for yourself and compare it to other agents and you will see exactly what I mean. It’s an organized and clean design, and I had no trouble navigating especially if I was a buyer new to her site. That’s extremely important. I know Sally can’t take ALL the credit for how quickly the home sold. It was a property that was less than 100K (which made it attractive to investors), and inventory was tight for a home of that quality in my area. I did follow all her advice about pricing and all her advice about preparing the home for market (new carpet, new paint, replacing a door, etc.). I do believe that everything she did (advice on pricing, website, photos) directly contributed to the overall success of the sale. One last thing, Sally sets up a website that shows you exactly when another agent comes by and shows the home. She gets feedback from each agent. All this is automated and you start getting e-mails whenever someone comes to see the home. This is incredible. If you haven’t sold a home recently, this makes things tremendously easy. Anyway, I fully recommend her! Home Seller user6153246 Sold a Single Family home in 2014 for approximately $400K in Atlanta, GA.
Sally and her team made selling our house from a distance stress free from start to finish.She immediately began studying the history of our home so she could answer any inquiries made by prospective buyers/agents.She went above and beyond this winter as multiple freezes occurred so we could rest easy and not worry about frozen pipes.When the right offer came in she helped us negotiate a fair price and all of the details to get to an easy closing were taken care of.We cannot recommend Sally and her team highly enough, especially if you are looking to buy or sell in the Northlake area. Home Seller user213608 Pine Hills Sold a home in 2014 in Pine Hills, Atlanta, GA 30324. Sally was very professional and easy to work with.She was on point with every aspect of the deal from start to finish.She worked with me to determine an asking price I was comfortable with and kept me updated every step of the way all the way through the closing.I would highly recommend her and will do business with her again in the future. Ani Kidambi First Time Buyer Bought a Single Family home in 2013 for approximately $325K in Decatur, GA.
Sally was wonderful with us. We were very specific in our needs for a home – we wanted the right school neighborhood, not too big and not too small and did not have a lot of room within our budget.My wife and I were first time home buyers who immigrated here, and Sally guided us through the entire overwhelming process of home-searching and buying.Sally helped us negotiate with the seller, provided excellent contacts for home inspections and handy-man services that were invaluable.When the home inspection revealed non-compliance with county regulations, Sally helped us negotiate with the owner to rectify them before sale.It was an overall amazing experience and in the process, we also gained great friend in her. Leeby – Home Seller Sold a Single Family home in 2014 for approximately $300K in Tucker, GA.
Before working with Sally, I went through two other agents in two years who were not able to sell my home.Sally sold it within two weeks! I was extremely pleased with her knowledge and professionalism.She did a wonderful job and I would highly recommend her to anybody in need of an agent. Home Seller user1946252 Sold a Single Family home in 2013 for approximately $200K in Tucker, GA.
Sally did an excellent job advising us and marketing our house.Once we put it on the market,the house sold within two days and we closed within a month.We could not have asked anything more from an agent. 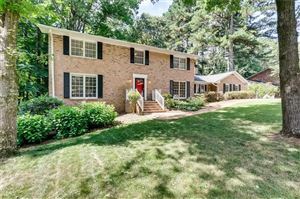 Home Seller user212539 Sold a Single Family home in 2013 for approximately $450K in Atlanta, GA.
Sally is professional, honest, knowledgeable, responsive and it is great to work with her. She has helped me and my husband and other family members with buying and selling homes.She is not pushy when showing possible homes and has a good knowledge of home construction and maintenance. I highly recommend Sally and her team. Peter Ross Sold a home in 2013 in Idlewood Acres, Tucker, GA 30084. Sally was a pleasure to work with.Sally consistently provided prompt service and feedback.She clearly presented herself as a top professional in the field.I was very pleased. Pat – Home Seller user7903429 Sold a Single Family home in 2012 for approximately $325K in Atlanta, GA.
Sally was super in helping us prepare our 30 year old house for sale.She helped us zero in on house prep items that gave us the biggest bang for our buck. She had all the experts that we needed for repairs/updates.Sally was very responsive to all our questions and needs.When the actual sale happened, the actual sale process was very painless…all details and paperwork were expertly handled by Sally. Home Seller user1418915 Sold a Single Family home in 2012 for approximately $300K in Atlanta, GA.
Sally is the ultimate real estate professional.She told us what we needed to do and how to do it.She and her team worked extremely hard.We had already moved to our new out of state home and Sally handled everything.If you want to sell your home, Sally will sell it.Outstanding! Mike Talley Sold a Single Family home in 2012 for approximately $250K in Atlanta, GA.
Sally’s years of experience helped us sell our home in a down market. She helped us reasonably price our home to attract serious buyers. Not only did she help us sell our home in a timely manner, she assisted us in the due diligence and closing process. Sally embodies what the term realtor should mean. We would definitely use Sally for our real estate service needs in the Atlanta area in the future. Lenny Showed home in 2012 in Atlanta, GA.
Sally has never failed to be helpful, flexible and willing to pursue every possibility! Far and away the best agent I have ever worked with.I really appreciate her and her team–they never pressure you or waste your time. I’m from out of town, and Sally was a wonderful resource. Sally helped me put in an offer on a home and it is still in process. Melissa Showed home in 2011 in Oak Grove, GA 30033. Sally is excellent. She was unfailingly professional, listened to our needs, provided us with timely & appropriate information, and worked tirelessly to find a place for us. Her availability, enthusiasm, and professionalism did not wain even when we decided we needed to rent. Additionally, Sally is personable, objective, and a great listener.We couldn’t be happier with the property Sally found for us! Throughout the process, it felt like we were her only clients. We have recommend her to others and will definitely contact her when we are ready to buy a house! Vance Grant Bought a Single Family home in 2011 for approximately $350K in Atlanta, GA.
Sally English helped us to explore available housing in northeast Atlanta and to find a home that really meets our needs. She was very generous with her time and expertise as she drove us around the area. Thus she made it possible for us to inspect a variety of houses at our own speed and to make a good choice of where we wanted to live. Once we had made our selection, she performed many useful services, including helping us in our negotiations with the seller, arranging for the home inspection, helping to set up the time and place of the home settlement, and responding graciously to our numerous questions and requests. As we look back, my wife and I agree: We couldn’t have done it without her. S. A. Hammond Showed home in 2011 in Idlewood Acres, Tucker, GA 30084. Sally was very helpful in recommending properties and showing us many different properties. She was very responsive and helpful in providing ideas and tips on all the properties we visited. Sally knew so much about the area and the history of many of the homes throughout the area. She was very easy going and a pleasure to work with. She was also able to provide great recommendations for lenders and inspectors that have all been top-notch. Home Buyer user6168 Bought a Single Family home in 2011 in Atlanta, GA.
Sally has been so helpful, informative, patient. We could not have asked for a better buyer’s agent! She knows the North Atlanta area and market extremely well. If you are looking to buy a home, I would highly recommend contacting Sally. Home Seller blankcourt Sold a Single Family home in 2011 for approximately $325K in Atlanta, GA. The English Team suggested ways to make the home photograph better and were helpful with any request I had. When the home sold, they helped me meet the buyer’s requests. I highly recommend them. Sally and her team did a great job with all aspects of my sale. She was very helpful in preparing the house for sale and getting it showable. Her knowledge of the neighborhood helped me move the house from listed to sold. She knows experts in every trade necessary to get the house ready and fix the punch list. Our house was unoccupied and she and her team did a great job of keeping it safe and presentable. Sally and Tim are great to work with.We were very pleased with how they handled the listing and sale of our house in Northlake.Sally is the absolute, unquestioned go-to agent in the Northlake/Tucker/North Briarcliff area.She grew up and lives in the area and her father was a respected local builder for many years. She knows the area intimately. Sally is super responsive, easy to reach via phone or email and a great emotional support when difficulties arise.Tim’s work with the house photos is superb. Sally will take good care of you. Highly recommended.